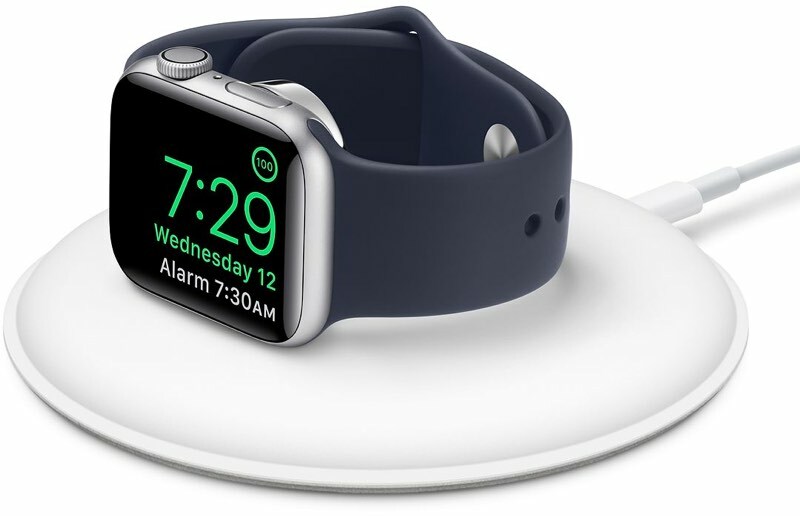 Apple today released a new version of its Apple Watch Magnetic Charging Dock, which carries a model number of MU9F2AM/A and was added to the online Apple Store today. The previous version of the Apple Watch Magnetic Charging Dock, which had a model number of MLDW2AM/A, has been removed from the online store. The new Apple Watch Magnetic Charging Dock has also received FCC approval according to a filing that was shared today. The FCC filing provides no additional information on the dock or what might have been tweaked. Apple's updated Apple Watch Magnetic Charging Dock can be purchased from the Apple website for $79. The device is available for delivery starting on Friday, November 16, and should be in retail stores soon. I never understood the purpose of this dock. It’s basically a $79 pillow for your Apple Watch. It's for those of us that want a $79 pillow for our Apple Watches. Perhaps a tweak of clearance when the puck is vertical to cater for the slight change on the 44mm S4? They didn't disclose the reason and you won't care to ask them? I bought mine a just week ago, they should've let customers know in advance. Ridiculous. If last week, you're within the 14-day return period. Return/exchange. I didn’t even know the first one existed. Love my 1st gen dock, but really, where is my AirPower? I bought mine just a week ago, they should've let customers know in advance. Ridiculous. You're still within the return window if you have issues with your current one. Go in and swap it out. Stop complaining. Eh, probably nothing major. Just added the ability to levitate or something. I've got it as a present last Christmas and I really like it. Not cheap, but lovely.